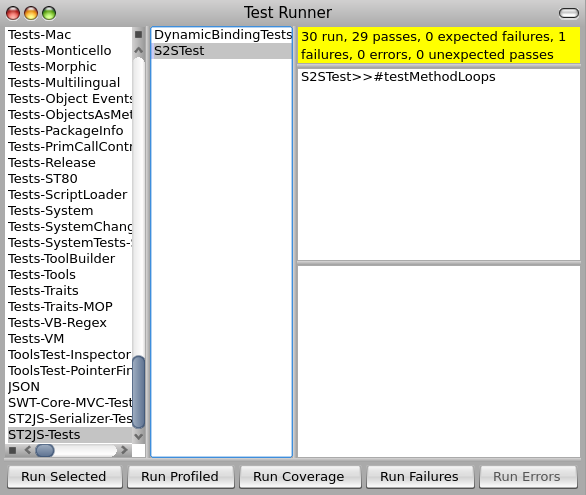 I'm working on port SWT (Smalltalk Web Toolkit) to the latest versions of Squeak and Pharo. SWT was developed and used extensively on Squeak 3.8 and I'm trying now to port it to 3.10 trunk and Pharo (Closures enabled images). The process of install and run SWT on an image may change depending if the image has the web tools installed (Comanche, Seaside) or not. On an image with the web tools installed, the process is very straightforward, only matter of install the packages from the repository. 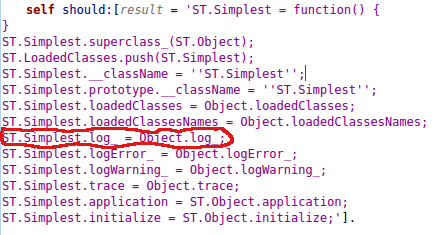 Modify the class MessageSends adding the methods #value: and #evaluateWithArguments (methods coming from Seaside). 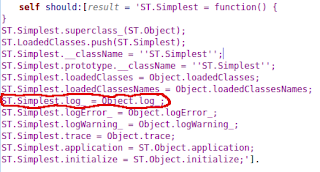 I added these methods on a category *swt-nonseaside when the image don't have Seaside installed. When the installation ended, some issues appear (Are the issues I'm working on). 1. 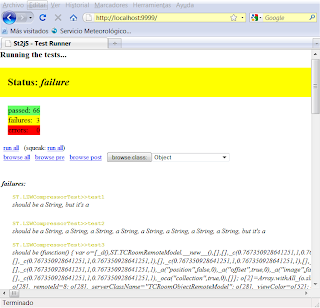 On the web tests of ST2JS are 3 tests failing and only 1 [*] on the ST2JS Test Runner. 2. Starting up Asteroid and going to the default url (http://localhost:9999) the first browser connect and works ok, but trying to connect more browser windows, all remains disconnected. 3. Anyway the most of sample applications works ok, except from some encoding issue. The signaled line need to be arranged on the comparation as is generated now with new Squeak/Pharo and it's all. Sorry with the bad formatting, but I'm tired of fight with these questions on blogspot (The wysiwyg editor show a thing and render another and I don't have time to edit pure html). May be is time to change my blogging platform. Smalltalks 2009 was held on November 19-20-21 on University of Buenos Aires. Was my first time there and hope not the last!. All the conferences I attended were great and more great was the people I knew, all very friendly with me and Alejandro (We traveled together). We enjoy all the conferences and tutoriales and also all the nice talks with the people of FAST and the other attendants and guests. In particular was an honour to us the possibility of give a technical talk about SWT (Smalltalk Web Toolkit) and between the people present we count Dan Ingalls! Thanks to all the attendants to our talk, thanks to FAST by the possibility of be giving the talk, thanks to our friends Edgar, Francisco and Alex by the excellent companionship sharing the room of the hotel. Also a big thanks to the distinguished guest that shared all their knowledgment with us, specially to James Foster, Stephan Ducasse (see pic) and Dan Ingalls. 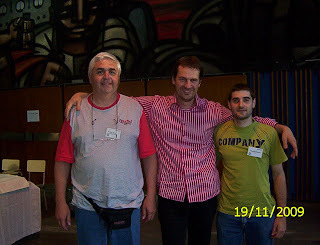 We hope to be again sharing good Smalltalks talks on 2010! We will be sponsoring Smalltalks 2009, an important conference about the Smalltalk technology in different areas of application. and will count with distinguished guests as Dan Ingalls, Stephane Ducasse, Alex Warth, Tim Mackinnon and James Foster. 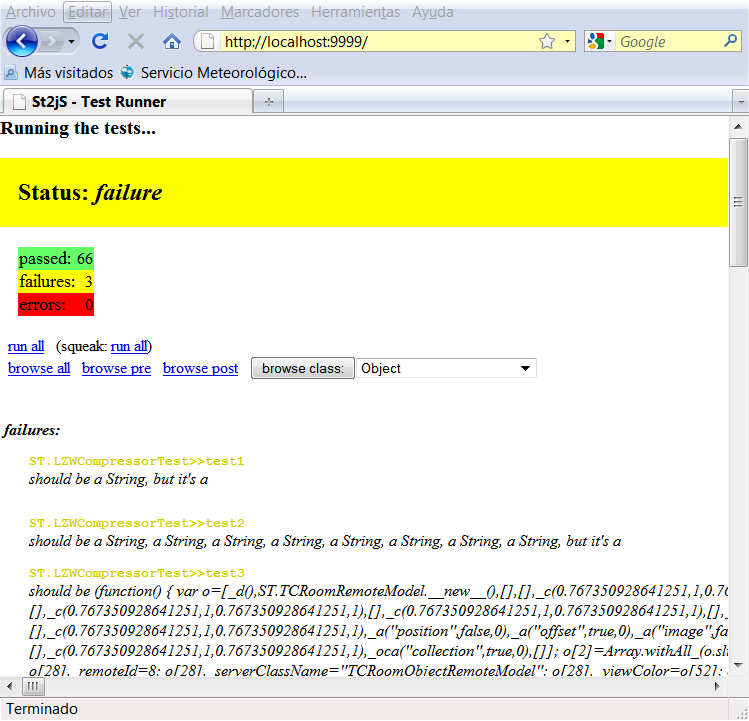 Also, and modestly, I will be giving a talk (together with Alejandro Aguirre) about SWT (Smalltalk Web Toolkit), the technology we used to develop several projects, for example: Ceibo. If you are interested in smarter ways to develop software shouldn't miss this event! Some days ago I need to bid a project on a freelancers site. After I bid my first proposal, I was selected by the customer to make a more complete proposal. Then he send me a complete description of the project he need to develop. Such description was a bit complex and with the idiomatic barrier the things got a bit more complex. 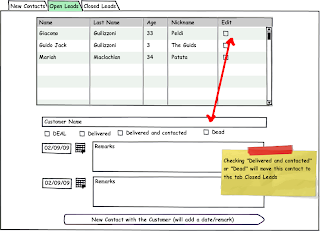 Then, thinking in a way of show him my ideas with no place to doubts, Balsamiq Mockups came to my mind by first time to this sort of use (Not to design a real project, else to build a proposal). Not being myself an expert on Balsamiq, else only a novice (I used it only one time before and for a few minutes) I clicked on the Balsamiq icon and, as usual on me, I started using without read nothing and trusting on the easy of adaptation of the product. And yes, it worked!. In a few minutes I designed two mockups with not problems and showing exactly the things I wanted to show to the possible customer. I know the customer liked this way of show an early desing of the system because "A picture is worth a thousand words". 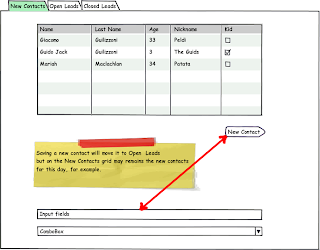 I can suspect that Balsamiq will be with me from now on for many tasks in my company. The Retrobjects projects won the Innovation Technology Awards on ESUG 2009! The 1st and 3rd projects are from Argentina and on the 2nd also works an argentinian Smalltalker. Congratulations to all the winners and also to all the participants! Check the complete list of winners and nominations. The ESUG board announced that the 2009 ESUG conference will be held at the Université de Bretagne Occidentale(UBO) in Brest, France, August 31 - September 4, 2009; Camp Smalltalk 29-30 august 2009 and in the same event, the 6th Innovation Technology Awards. Developers of any Smalltalk-based software are invited to compete. You can findout more on the previous editions and competitors on the page dedicated to the history of the ESUG Innovation Technology Awards. Best of lucks to you all! 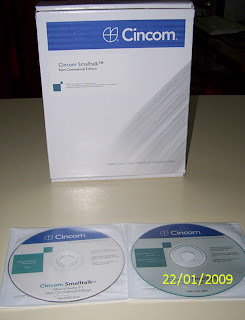 After a mail on comp.lang.smalltalk.dolphin asking about the development of an air traffic control radar display simulation, Andy Bower (one of the makers of Dolphin Smalltalk) responded that was working on some screencasts about creation of simulations on Dolphin. 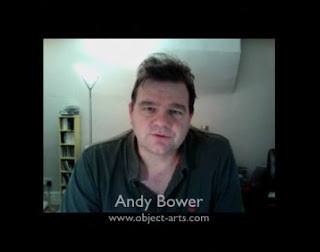 The only suggestion to Andy could be to speak a bit more slowly (at least to not fluent English speakers as me). Thanks Andy by the tutorials! Some time ago on OISV forum I was remarked that the name of my company sound very bad (as a bad word) on English because the pronunciation. When I selected such name I was searching a name that sound aproximately the same on English and Spanish (my native language), and a bit short, to make easy the people remember it. Then ArSol comes to my mind as an acronym of my last name and the word "solutions". I used it a lot of years, invested a lot of time and money on it, but wihtout being aware about this bad meaning on English. Now I'm relly worried by the need of change the name to stay on business (The global market to any MicroISV talk English) . Some persons of BoS forum and OISV forum tell me that I must change the name to have opportunity on the English market (were I already worked and sold software and services even with such name) and other persons (mainly from other countries of Europe) tell me that is a good name, that don't sound bad to they. Surely I will not write here anything new, but I hope help others MicroISV developers to discover the power of Smalltalk. This first post about this topic will be short, trying not bore you, and is only to comment that when published that famous Byte Magazine August 81 about Smalltalk, a "must read" article was inside: "Design Principles Behind Smalltalk". Exactly to MicroISV, don't think? To end, I want to point an interesting introductory article about Dolphin Smalltalk published by Bitwise Magazine in August 2005, press here to read it. 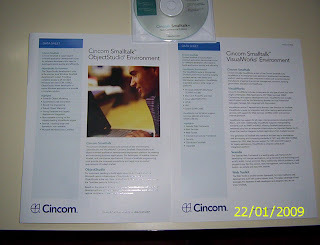 More articles about Smalltalk on this same magazine. The image of this article was taken from Bitwise Magazine with permit of the editor. First of all, let me thanks all the voters of my previous poll!. Even lot of people think that the future (and present ) of the most apps is the web format, surfing MicroISV sites, is possible to see lots of desktop apps. Not all apps are suitables to be on web format, right, but I'm talking of such apps that could be presented even as web or desktop app. I know that the question may sound so general, but I want to ask opinions from the point of view of potential of sales, development costs, future possibilities and with the goal of reach the broader possible customer base. 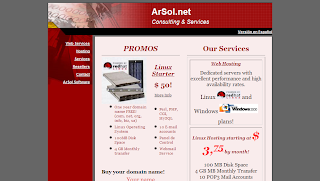 Is online the new site (also in English) of ArSol Web Hosting. Includes new prices and services, check it and ask us by any question! As entrepreneur of software industry I would like to collect some opinions about different questions related with the business of a Micro-ISV. In such sense I've the idea of publish some polls to know the opinion of other people, mainly people related with the IT industry with some experience on these topics. 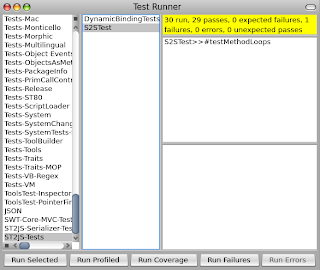 Let me start with a simple poll to identify what sort of software is worth to develop, selecting only between two options. Thanks in advance by your participation! As I've developed the Scribo-Console, and taking in account that Aida/Web is available on several different Smalltalk's I will try to make the same with the console. An excellent excuse to explore others Smalltalk’s!. Then, the list of possible ports of Scribo-Console is the following: VisualWorks - Smalltalk/X - Gemstone - ObjectStudio - Dolphin. I'm not sure if will make all, but at least will try with the Smalltalk’s that run on Linux. Not sure with the others, because I don’t like to work on Windows. To start I selected VisualWorks, because I give it a try on the past, version 5 if not bad remember, and willing to try it again, being that is from Aida/Web comes. I started installing VWNC on my Xubuntu desktop and, after a few adjustments, is running ok.
1. After burn the ISO image on the CD, I needed to copy all the CD contents on the hard disk to make work the installation. Don’t tried much things, simply copied and installed and it worked. 2. The startup script, named VisualNC need to be bash, not csh, then I replaced the first sentence (#!/bin/csh) with this one: #!/bin/bash. First thing I noticed was the fonts a bit smaller to my current resolution, then I switched to the biggest (from Settings VW itself). And also I set the look and feel to Mac (Is the only way of have one of these here!). Two things caught my attention: the amazing speed to load, open windows, saving, etc and the superb documentation of VW. I think that any product that play on the major leagues must have complete documentation, and VW have it. After starting VWNC by first time I saved my own image to not broke the original, and then installed the parcel of Aida/Web. Also I searched something to have the code colored and found RBCodeHighlighting on Environment Enhancements category of Parcel Manager. Having now a comfortable environment to work in, I started the port. 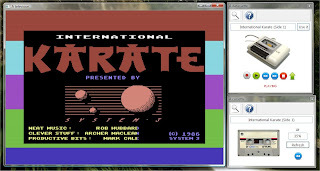 As is a tiny app, on the Squeak version I did the UI on the same main class, with Morphic. Then the challenge here is learn a bit about the UI Painter (When I first tried VW, some years ago, I completed the Walk Through, and now I plan to base the work reading again this doc). Porting some methods, an important thing I noticed, being that I comes from Squeak with no namespaces in mind, is the need of put the namespace name before the class name, as in the attached image: Swazoo.SwazooServer singleton sites (Thanks Janko by point it). Well, is time to go back to real work, and wait having a bit of free time to continue playing with VW and the console port!